← Random Quote. No 12a*. “I can only apologise to those closest to me for causing them any concern, however things had become very difficult, I was feeling very depressed about everything. I did not feel that I was able to conduct private conversations, privately and that this was effecting decision making. I was also concerned that some of the people close to me were associating with some quite undesirable people, and were unwilling to listen to advice concerning this. In addition to this, all the bugs were beginning to make me itch. It seems that whilst I have been away some of these concerns have been resolved and having some time away from the situation has helped me get some perspective on things. I intend to spend a couple more days recuperating here before retuning to my usual position in Downing street. I would ask the media and the general public to respect my privacy in the mean time. 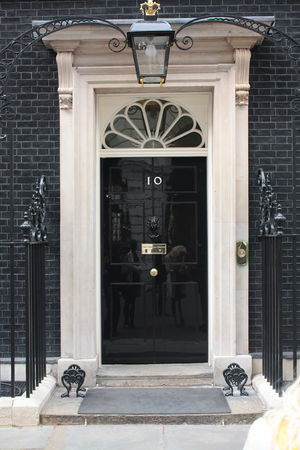 So there you have it Ten Downing Street is safe and well and we can expect a return to normal service very soon. This entry was posted in Humour, My Humour and tagged 10 Downing Street, Comedy, Downing Street, Funny, Humour. Bookmark the permalink. 1 Response to Ten Downing Street Found.